Wealthy People and High Net Worth Individuals (HNIs) acquire large stakes in emerging companies much before it is offered to the public and gets listed in the equity market. This generates enhanced returns as opposed to investing later. 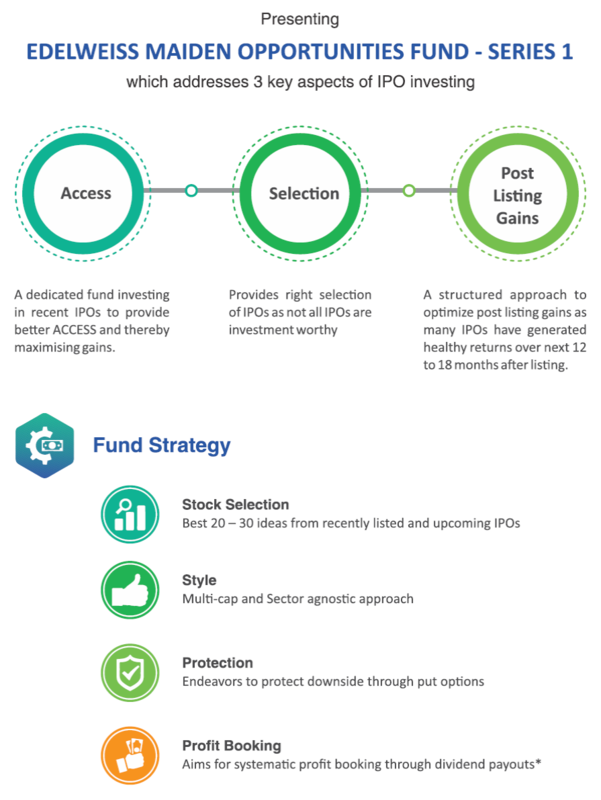 Now retail investors like you too can benefit from this smart strategy!! 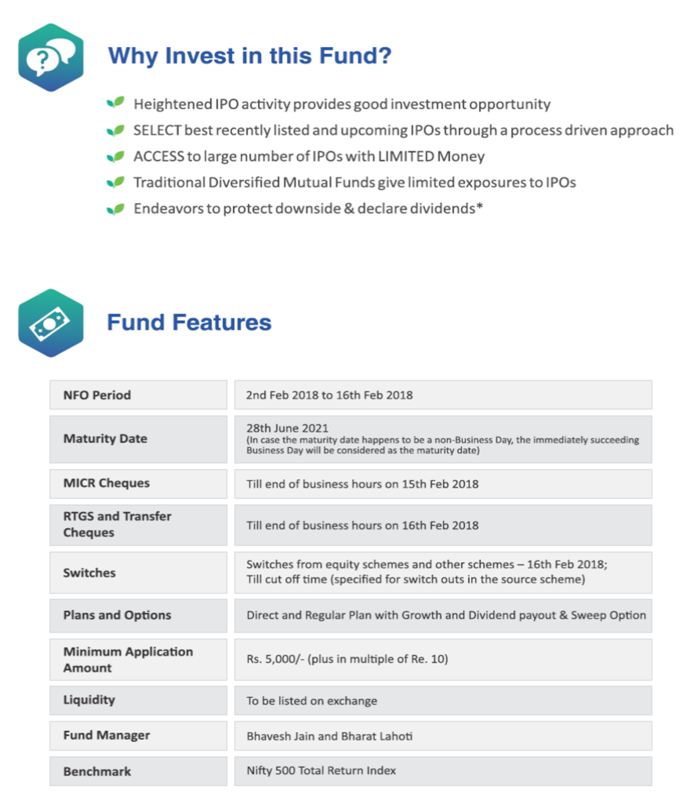 Dhanayoga is pleased to announce the launch of “Edelweiss Maiden Opportunities Fund” (EMOF) that invests only in pre-IPO, upcoming IPO and just listed companies. This offers significantly superior return potential with "downside protection built-in"
Dhanayoga clients can inform their Name and amount to invest, receive a link on their email id and invest via online (web or mobile App) (or) make payment with Cheque/DD. Edelweiss is one of India's leading financial services conglomerates, offering a robust platform, to a diversified client base across domestic and global geographies. ​Our continuous and single-minded focus is on understanding customers’ needs and offering the right financial solutions. Being present in every financial life stage of a customer, helping them create, grow and protect their wealth, are our key lines of business. This diversified business model reflects our experience across India's multiple consuming facets, from industrial behemoths and large companies to small business as well as the average Indian urban and rural household.